When investing in new robot or used robot, it is essential to plan for future expansion or changes. Planning for future is not always straightforward because you don’t know what the future will bring. The first step will be to outline the concepts, then review with an expert on the field or the project manager in charge of your project. There is a balance between planning for future and understanding future needs for the company. If you are new to implementing robotics, the following will assist you with this new concept. Once you had got all answers, you may probably like to know what is involved in the robot system. The safety of the robot is a critical factor for any robotic automation. Some of the safety equipment are sensors, guards/cell, locks, vision and more. You will require a quality control panel when installing an industrial robot; a system integrator will be able to design and to build based on the requirements and growth of the company. Our suggestion is to contact a robot integrator that knows about robotics with experience in automation services. What to consider on new robot? Moving mechanism of the new robot. 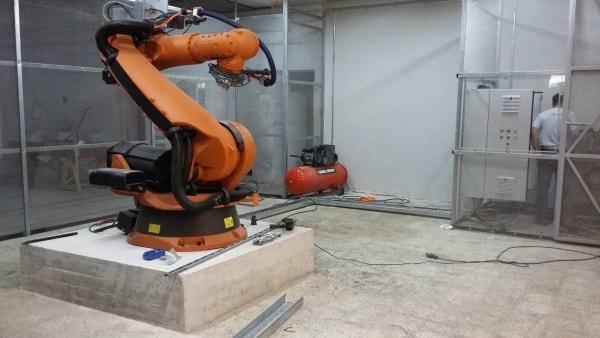 The mechanical and electrical installation of the robot and it’s commissioning. The end of arm tooling and their control system. Heat resistance capacity and cooling function of the control system. The mechanical mounting, and electrical installation of the the tooling. The Cell control panel with or without PLC and HMI. The mechanical and electrical installation and testing of the cell control panel, fixtures and part transfer systems, and guarding and safety systems. The workpiece fixtures and equipment for entering and supporting the parts and exiting the finished parts after the robot operations. The mechanism of the robot cell design and its life duration. Training on both the robot and cell systems. Periodic maintenance of the cell. If you need any assistance in any area regarding automation and robotics, please do not hesitate to contact our consultants to discuss your project or to arrange a meeting at your premises. We are always happy to help those who need our services. We will provide valuable information on how robot can help support your goals with our experienced industrial robot engineering services, call us today: +44 (0) 7581 307823.